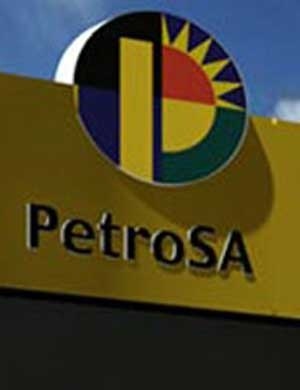 Johannesburg - PetroSA this month began a process of laying off 15% of its employees in a bid to keep the struggling state oil company from going into business rescue. Unions have raised objections because PetroSA wants to get rid of engineers and other experts. In January, PetroSA asked the Central Energy Fund to place it under business rescue because it could apparently no longer afford to decommission its Oryx and Oribi oilfields. According to a confidential updated version of its turnaround strategy, it will cost PetroSA R3 billion to decommission these oilfields. PetroSA’s production licence ended in 2015. According to the turnaround strategy, the company’s biggest risk is that its foreign activities may also be halted, which means it will need even more money for the decommissioning. PetroSA has already written off an investment of R2.2 billion in an oilfield in Ghana. It is facing mounting pressure after its record loss of R14.6 billion in 2015, as a result of the Ikhwezi gas project, which is not performing according to expectations. The company is expecting a loss of R2.2 billion in the year to March 2017. The Ikhwezi project was intended to extend the Mossel Bay plant’s lifetime, but only delivered 10% of expected volume. Business Day this week reported it had information that the Central Energy Fund had turned down the request from PetroSA’s directors to be placed under business rescue. Business rescue involves a business rescue practitioner being appointed to supervise the company’s management in order to prevent bankruptcy. It can also protect directors in respect of claims that they traded recklessly. A confidential audit report that has been obtained by City Press’ sister newspaper, Rapport, shows that PetroSA now wants to cut its staff of 1 763 by as much as 15% to save 14% (R128.2 million) on its personnel costs. This is in addition to a confidential memorandum that was this week issued to management warning that there are fears of a potential “safety incident” because safety procedures are not up to standard, permanent positions are not being filled and because of the vulnerability and low morale of personnel. According to the memorandum, “safety incidents” over the past two years have already cost the company millions. In the latest incident, two workers died in February while working on a vessel at the Mossel Bay refinery. Mmamoloko Khubayi, the newly appointed minister of energy, this week described PetroSA as a “problem child”, but added that there were no plans to privatise the company. Over the past few years, PetroSA has been suffering from leadership uncertainty and, according to previous reports in Business Day, the Central Energy Fund had asked PetroSA directors to resign at the end of March. The Central Energy Fund has been concerned about the strategic direction, financial management and management of PetroSA. Khubayi said directors had been asked to resign and Luvo Makasi, chairperson of the Central Energy Fund, said those who did not want to do so had to provide written reasons they should keep their posts. Two directors have already resigned. At the time of going to press, PetroSA spokesperson Thabo Mabaso did not officially wish to give comment.